Bojan has been a main fixture in Perth’s music/DJ scene since 2006. His versatility, passion and knowledge of music has allowed him to become one of Perth’s better known hip hop, R&B & House DJ’s. He has teamed up and been showcased with the best talent in the city. Over the years, Bojan has held a six year residency at Tiger Lil’s, and has had numerous gigs peppered throughout the city. One of the favourites in Perth’s burgeoning house and techno scene, JimiJ has become a musical fixture and go-to at numerous venues and promoted nights throughout the city. He is a regular favourite at Habitat - Perth’s premier home for house and techno events, where he has supported international DJs such as John Digweed and Hernan Cattaneo. Currently he is a long-time resident at Geisha, regular guest at Flyrite’s MVMNT Sundays and now resident selector on Saturday nights at Tiger Lil’s. 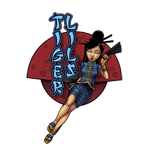 At Tiger Lil’s, you will see a different and maybe surprising side to JimiJ’s musical palette. A lover of all music genres being a producer himself, his Saturday peak sets are eclectic and versatile with every track seamlessly blending into the next. Whether it is Michael Jackson or Prince, to today’s current hits or those classic hip-hop throwbacks, he will create the best soundtrack for your favourite time of the week – Saturday nights.